If You Are Ready To Empower, Inspire and Motivate Your Audience, WIN with Coach JC! Coach JC has been empowering people to WIN for over 15 years. Now is your time to overcome obstacles, breakthrough limitations and create “The Winning Mindset.” Coach JC has been privileged to train some of the top athletes and corporate leaders in the country through private coaching, consulting and motivational speaking. Coach JC is a sought after author of the books The Secret to Real Success, The Secret to Real Weightloss Success and The Secret to Real Athlete Success. 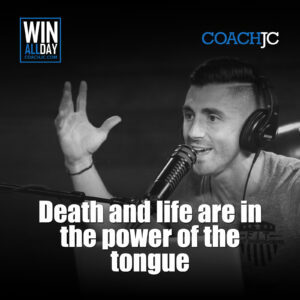 Coach JC’s dynamic personality inspires thousands of people every day on television, radio, speaking engagements and through his vast social media following of over 90,000 loyal fans on Facebook, Twitter and Instagram and over a million video views on You Tube. Coach JC started his career as the youngest strength and conditioning coach in the nation at the Division 1 level and later created Dynamic Sports Development, one of the top training facilities in the country for athletes from age 9 to the pro’s. Coach JC has also transformed thousands of women’s lives with the first outdoor fitness program, Bootcamp Tulsa. Coach JC has a passion for giving back which inspired him to create an 8-week body transformation program for churches across America called The Secret To Weightloss Success FOR CHRISTIANS. Coach JC continues to empower Christians across the country to WIN in their body, mind and spirit! Do you want to Empower & Re-energize your Organization To Win? Success Coach and Award-Winning Entrepreneur, Coach JC, will deliver the RIGHT message at the RIGHT time that your audience needs. Your audience will THANK YOU as they start winning more in life! My mission in life is to help as many people as possible WIN and live the best life possible. I am blessed and privileged on a daily basis to help people perform at a higher level and WIN in life. So, what is winning? I truly believe that WINNING is whatever you choose for it to be. Like success, success is measured differently by each person. No matter what that WINNING is to you it comes down to winning mentally first. With my “Winning Mindset” System that is exactly what I coach people to do. The mind is a powerful thing and once you discover how to WIN mentally you can then WIN in any area of your life. I get to speak all over the Nation to all kind of organizations and I LOVE it! I love what I do! If we get to work together you will be able to see my passion…Living life and helping others! 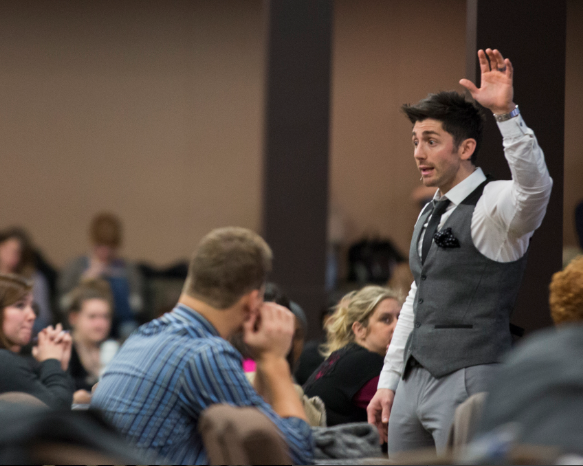 I will give you a heads up now, I like to have fun when Im speaking and love to get the audience involved. I also am an Italian kid from Jersey so you will rarely catch me standing in one place and you will see me using my hands a lot to talk…It’s just what I do! As an in-demand speaker for organizations that are serious about their audience being more and achieving more Coach JC is your man! He will motivate and engage your audience to the point of sometimes people smile and laugh too much. (only a few people have cried before and it’s usually during his story) They will be EMPOWERED to take action! Coach JC will inspire your audience to discover their life’s purpose and find out how changing your thinking is the secret to living the life you’ve always dreamed of. 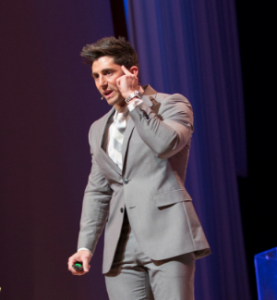 If you are seeking a qualified, entertaining and engaging motivational speaker, Coach JC’s straight-forward approach and high energy style is your best choice for your next event. Coach JC is a certified Life Coach with multiple coaching, sports performance and fitness certifications. 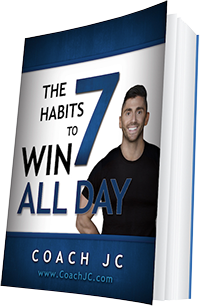 He is the author of The Secret to Real Weight Loss Success, Your 27 Day Body Transformation; The Secret to REAL Success, How to Have Anything You Want in Business & in Life in Just 27 Days; The Secret To REAL Athlete Success, How To WIN as an athlete and WIN in life. and find his success in these inspiring keynotes.Your audience will discover how to unlock the 3 Keys to Staying Motivated: Know Your Who , Know Your What and Know Your Why. These power-packed talks are created to set you up to WIN. You will discover how to “Seize The Moment so you don’t Get Left Behind”. Your audience will be energized to think and achieve bigger than ever before. Coach JC will show your audience how to increase their productivity in life and business. You will learn how to achieve more in business and your personal life by controlling your THINKING. Coach JC’s Mindset System has helped some of the top leaders and pro athletes achieve peak performance. groups, workshops, retreats and more.